Hangzhou, China – October 9, 2018 - Hikvision, the world’s leading supplier of innovative security products and solutions, announced its IP camera product series, DS-2CD3 and DS-2CD5, have achieved the Certificate of Common Criteria for Information Technology Security Evaluation (abbreviated as Common Criteria or CC) with assurance type EAL2 augmented with ALC_FLR.2 (EAL2+). It demonstrates Hikvision’s commitment to global customers on reliability and cybersecurity. As one of the most widely recognized international standards (ISO/IEC 15408) in information technology security, the Common Criteria certification is mainly applicable to evaluating security and reliability of information technology products or solutions, and is also focused on the protection of private information. Government organizations or government agencies from 28 countries have participated in the Common Criteria Recognition Arrangement (CCRA) , including National Information Assurance Partnership, Department of Defense of U.S. Many enterprise organizations also use CC as a requisite in relevant procurements. "Along with the transformation into a networked and intelligent era, security industry is facing unprecedented development opportunities, but also new challenges. Hikvision is always committed to developing quality, safe and innovative security products," said Dr. Wang Bin, Chief Officer at Hikvision Network and Information Security Laboratory and Network Security Department. 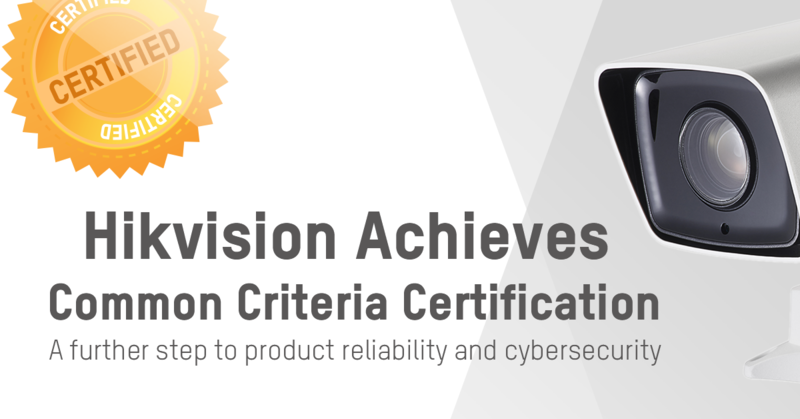 As required process to achieve Common Criteria certificate, Hikvision successfully passed the rigorous evaluation performed by Common Criteria testing laboratory Brightsight, a world-renowned security evaluation institution. Copyright © 2019 Al Shiraa Control Devices Tr.